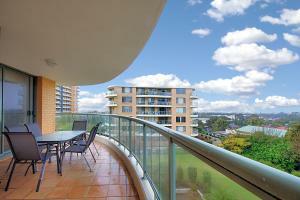 Located 11 km from Capitol Theatre in Sydney, this apartment features a balcony and a garden. Guests benefit from free WiFi and private parking available on site. The kitchen is equipped with a dishwasher and an oven and there is a private bathroom. Towels and bed linen are available in this self-catering accommodation. Other facilities at Resort Living at Rockdale Plaza include a spa centre. Darling Harbour Sydney is 11 km from Resort Living at Rockdale Plaza, while Allianz Stadium is 11 km away. The nearest airport is Sydney Airport, 4 km from Resort Living at Rockdale Plaza.